Last week went by so fast! We had to have our car repaired after we hit a wild hog coming home one night! Yes, I did say a wild hog! We have lived in rural Georgia for about 15 years and this was our first incident with such a large animal on those long dark country roads. We have much to be thankful for including good insurance! I launched a new series here on the blog Thursday called What’s Happening This Weekend in Middle Georgia and Beyond. If you are in the area, check it out. I will publish updates every Thursday evening with family friendly activities and events. Spring and summer are full of lots of great things to see and do in Georgia! Don’t miss out. Feb 18th – March 17th St. Patrick’s Day, Palm Sunday, Recycle crafts, and general spring (first day of spring is March 20th). Link-up HERE. March 18th – May 25th general spring, Recycle crafts, Earth Day, Easter, Mother’s Day, Teacher’s Day, May Day, Earth Day, Cinco De Mayo. Sign-ups for hosting now open! 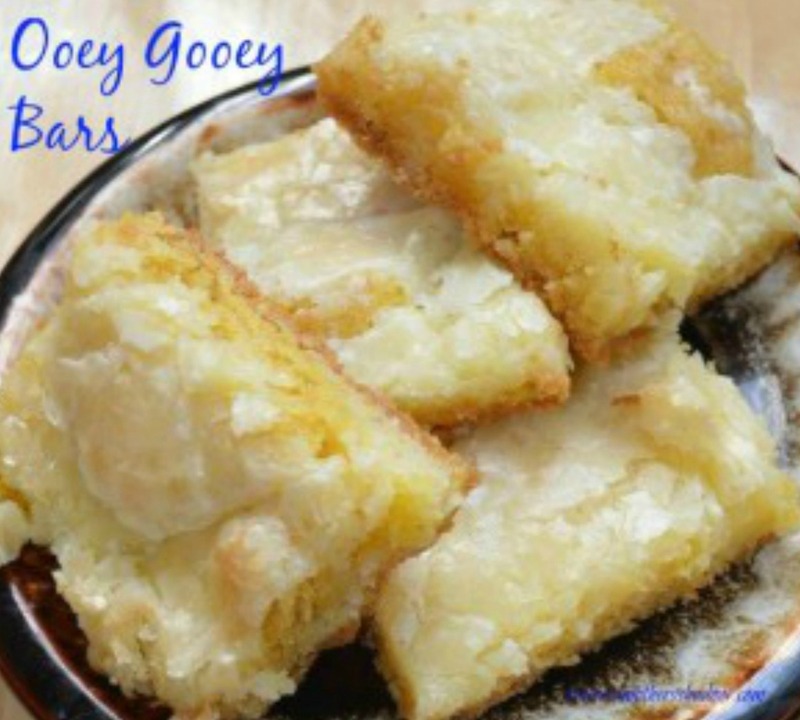 These Ooey Gooey Bars have been on my mind all week! The ingredients are on my kitchen counter right now. Check out how easy this adorable Moss Basket is to make! It’s perfect for your Easter décor! Display this button in your sidebar, linked post, or party page. 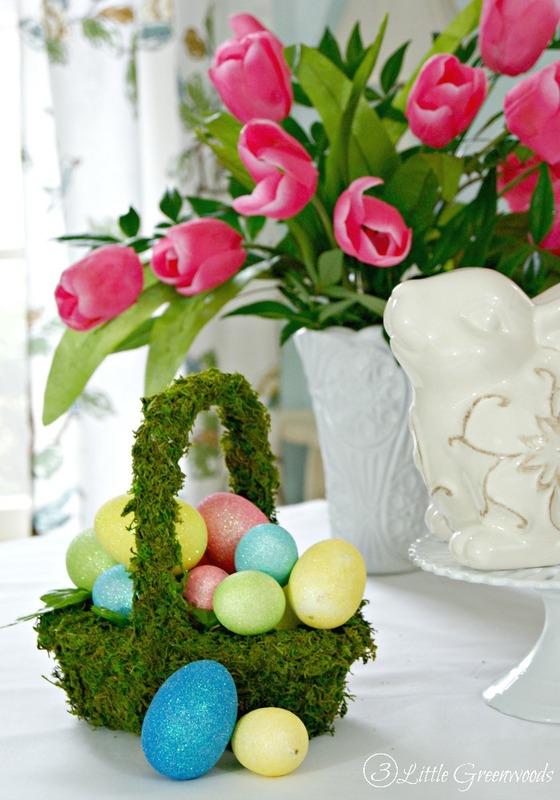 Thank you SO much for featuring my moss covered Easter basket! I loved all your other features too! G’day Thx for hosting; sharing the love! Hope you can join me at my Say G’day Party on Saturday! Thank you for stopping by Joanne. I will plan to see you Saturday. Thanks for another party over here Shirley! Glad you stopped by and shared with us Zan. 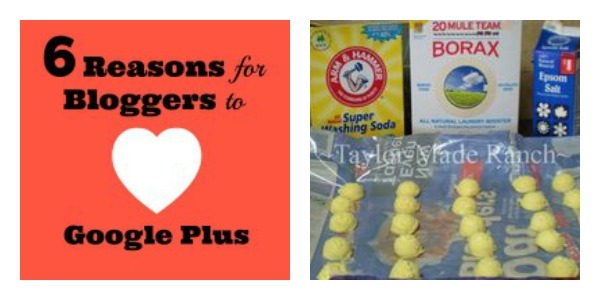 Excited that 6 Reasons for Bloggers to Love Google Plus was one of the most popular from last week. Thanks so much for hosting! Great post Sarah! We’re glad you shared it with us here at Merry Monday. I look forward to reading your newest projects! I love that sweet little moss basket! How cute! Thanks for hosting another Merry Monday! Isn’t that just the cutest idea! I’m going to do that one myself. It’s another great party! Thanks for hosting. Thank you for linking up with us Amanda. We need your 911 posts for sure! Your posts are quite valuable. Thanks for sharing with us Lorelai. We appreciate you. Glad you shared with us. We will see you at your party! Thanks for the party Shirley! Thank you for stopping by and sharing with us Joy. Good Monday morning, Shirley! Love to stop by first thing Monday morning for a visit. I was just looking through some of the linkups and I’m finding a lot of great recipes and craft ideas. Thanks for hosting. My goodness, it does seem like there are a plethora of great recipes and ideas being shared with us right now! We are so glad yours are here too! Thanks for hosting! That moss covered Easter basket is the cutest! Isn’t that basket too cute! I am going to do that craft myself, so easy too!